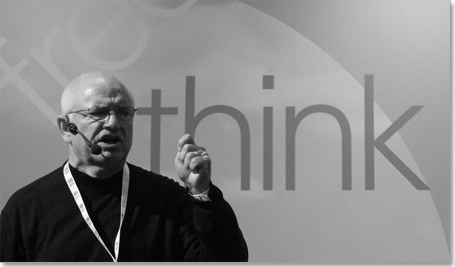 Don Daglow spells out his predictions on the future of iGaming at a conference in Berlin. A BACKGROUND as a playwright has given Don Daglow a unique perspective on how the future of iGaming could unfold. He knows the power of emotion and speaks about how this is what keeps people playing a pokie or sitting in front of a console in your lounge room for hours on end. But it’s not just this ability to engage the player that has kept Daglow at the forefront of gaming for 40 years, it is also his ability to adapt. He speaks passionately about how the present is the most exciting time in the history of computers, largely because there are so many different interfaces. For Daglow, the playwright, this means there are many blank pages to be written. After just a few minutes sitting with Daglow in the bar at the Radisson Blu Hotel in Berlin, where he was visiting as a guest speaker at Excellence in iGaming, it’s clear I’m sitting with a creative force, someone who thinks outside the box. He speaks about various ways you can bring emotion to the gaming sphere. He believes touching on past personal experiences or giving player choices in a game can produce a link between the player and the game. Rather than developing games that present ideas to the player, as thought provoking as they may be, he thinks that emotions need to be twanged to truly connect to the player. While Daglow is not an expert in the gambling field, he believes these same emotions can be brought out through iGaming. He asks me to remember the feeling of pulling a lever on a slot machine and speaks about how replicating this while playing online could give you a sense of nostalgia and bring out the above mentioned emotion, making you part of the game. Themed slots like Aliens have brought more emotion into iGaming, according to Don Daglow. While he acknowledges that the introduction of themed slot machines like Batman, Star Trek, South Park and Aliens were a rapid stride for iGaming, he firmly believes there is plenty more scope for emotion in the gambling sphere. He points to the outstanding console games available and the many smartphone games that have captured emotion perfectly and in turn, kept people playing the game. “In iGaming there is already an emotion because there are real world stakes and stakes deliver us emotion, but I think there are more ways that we can take other forms of entertainments emotion and put it on top of the simple money based and pride based elements of emotion that we get from gambling traditionally,” he says. “I think in part there is a connection with the player playing a slot online because they remember the real world sounds of playing a slot machine and thinking they are going to win and the sounds have been replicated, they remember having the coins drop out and the sound and the emotion involved. It’s this idea of stepping into the great unknown every day that keeps Daglow excited about the ever evolving computer games industry. He remembers a time when there was just a handful of game development companies vying for a very limited market space. And he marvels at the industry it has become. He says the different platforms or mediums that people play games on is staggering. The time Daglow is reminiscing about was in the 1970s at Pomoma college in Claremont, California, which was one of the few places that you could find a computer capable of inventing games on. Even though Daglow was studying to be a playwright he viewed games as a new way of writing. His titles at the time included Dungeon which was to grow into the Dungeons and Dragons empire, and the first baseball game. A few years later, in the early 90s, Daglow and his company Stormfront Studios came up with a game changer. The creation of the first graphical Role Playing Game, Neverwinter Nights, which allowed massive multi-player. This game was the first time that bulk consumers could experience the same world. It looks dated today, but Neverwinter Nights changed the way people play games, you can view a Youtube video below of the game that put Don Daglow and Stormfront on the map. While it would be naive to think without Daglow that these types of games would not have been developed, it was his initial vision that allowed games like World of Warcraft, which has upwards of eight million subscribers globally, to blossom. His role in pioneering games has been acknowledged several times with major awards in both 2003 and 2008. It’s this vision of what the future holds that has kept Daglow at the forefront of game development and he’s as excited about the industry as he was 35 years ago. “We’ve gone through times of great prosperity in the industry where you really needed to be working with one of eight companies in one role or another or you couldn’t really do anything,” he says. “So one way or another you had to have a relationship with one of eight companies, now it’s more like 800,000 that you can have a relationship with. We were designing for one system, one platform, but now we can design for touchscreen this size (pointing at his smartphone), for tablet, for a big big home entertainment system or an Oculus [rift]. “So the variety and that excitement makes it a very very cool time to be around. From an iGaming perspective the platforms that we have available to us is staggering. 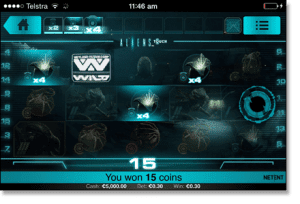 You can play real money slots on your mobile phones and tablets, on your computers, on your giant Smart TVs and it is even rumoured that products like the virtual reality headset Oculus Rift are developing casino games. After Daglow made his presentation at EiG, he sat in a panel discussion with several of his peers, including Atari boss Frederic Chesnais, PariPlay CEO Gili Lisani, Chief Marketing Officer of Gamblit Gaming David Chang and Bigpoint CEO Heiko Hubertz. While most members of the panel were steadfast in their belief that 10 years from now online casino games would not look much different from today’s incarnation, Daglow did find one ally in Lisani. Lisani, whose company PariPlay has shown a willingness to experiment with different iGaming ideas, tended to agree with Daglow that the future of online casino games will integrate a number of different technologies including smartphone app-based games, computer games and other technologies we haven’t seen yet. While Daglow was effusive in his praise of the giant strides that virtual reality has made in recent years, he said it was something he was unable to be involved in, because he is blind in one eye. His theory on virtual reality and gambling was that it might cut back the social element of iGaming which has made giant strides in recent years with the advent of Live Dealer and other interfaces that incorporate social media platforms, or side games. “I believe that to the degree that any gaming experience that walls you off from everybody that it’s a liability,” he says. “Clearly 3D is having a lot of success, Oculus has solved a ton of problems, John Carmack is an amazing engineer.